We are sure that the following information will be interesting for modern women. 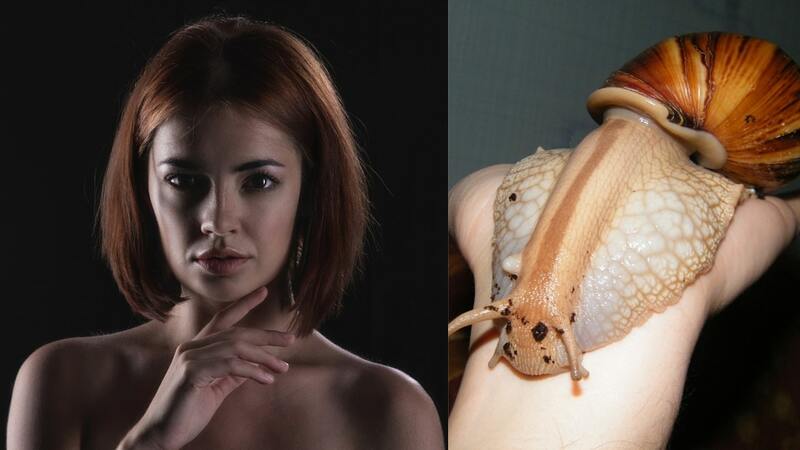 There is an interesting pet, it will save time and money on expensive beauty treatments – the Achatina snail. This cute little animal will create a real Spa at home because it can perfectly moisturize and rejuvenate the skin, eliminate damage and pigmented spots. It’s only a small list of its advantages. Here are some more details. Wikipedia offers the following definition. the giant Achatina snail is a terrestrial mollusk origin from countries with tropical climates. The length of the shell of an adult snail is from 5 to 10 cm but there are also big species – up to 20 cm. the shell has 7-9 turns, twisted counterclockwise. The color depends on where it lives and what it eats but the most common are the stripes of yellow or red-brown shades. Has African roots. Length - up to 20 cm, the color of the shell is brown, reddish, black, easy to care for, very calm. It has a brown or black color with dots or stripes, its length is 20 cm, it's very mobile, "curious", active. A characteristic feature of the color is a shell's rim colored in pink or purple. There are specimens of tiger colors. There is a distinctive feature – a flat strip from the head to the shell. Achatinas have no notable differences from other snails, except of the colors of the shells. In the wild, they can grow up to 40 cm and weigh half a kilogram. People have learned about this recently and began to use them actively in salon and home treatments. The positive effect on skin is noticeable after its contact with the snail. Based on the results, There was developed a technique – oligotherapy. Allantoin Helps to cell regeneration and regeneration of skin damage. Peptides Clean the skin from harmful microflora. Vitamins A, C, E Moisturize, nourish and strengthen the skin. 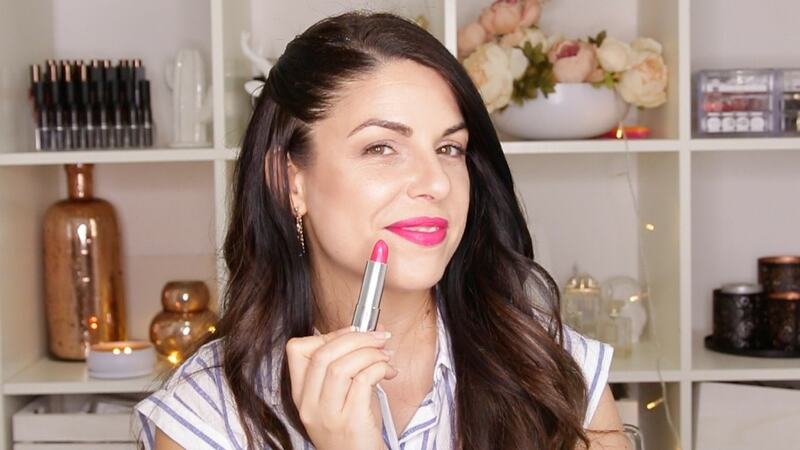 Glycolic acid Removes dead cells, creates a pilling effect. The mucus is actively used as a wound healing, anti-burn and anti-cellulite remedy. Snail massage improves blood circulation, strengthens blood vessels and calms the nervous system. It’s not necessary to massage those who are afraid of molluscs or squeamish their secretion. If a person has an individual intolerance or allergy to mucus, side effects are possible: itching, redness, rash. Then it’s better to interrupt the procedure and consult a doctor about the possibility of using snails or stop using them. To check for possible effects, apply a little bit of mucus to your wrist and leave it for 15 minutes. If there is no negative reaction – start therapy. To bathe the Achatina in warm water and feed. Lay convenient in a horizontal position. Put the African “guest” on the face or body and leave it to crawl for 15 minutes. If it’s necessary, it can be pushed a little bit or returned to the selected area. Take away the snail and rub the mucus into the skin and leave it to dry for another 15 minutes. After this wash it away with water and apply moisturizer. For the correct snail session, you can watch training videos. Visible results are noticeable after 5 applications. The pores will be narrowed, the skin will become light, elastic, smooth, without wrinkles, dark circles and pigmented spots. Carefully collect the snail’s selection with a spoon and add the necessary ingredients. Stir it and apply to face for 20 minutes. 1. Connect the grated oatmeal with warm water (30 ml) and mucus (1 tsp). 2. Put it on the skin, leave for 15 minutes, rinse with chamomile decoction. The combination of mucus, cosmetic clay and clean, spring water. Do the procedures of “crawling snails”3 times a week on problem areas – hips and abdomen. After one month, the “orange peel” will disappear, leaving elasticity and smoothness. To get the maximum results from the procedures, you need to provide a comfortable life to the pet. Buy or make by yourself a transparent glass aquarium, terrarium or plastic container up to 10 liters per one specimen. They love space. Cover the floor with a moisture-absorbing coating and install a container of water. It’s better to fill the bottom with a thick layer of soil. The snail will be able to hide in it and make clutches. The ground must be disinfected to prevent the pet from getting infected. Change it every 3-4 weeks. You can use simple decorations, without sharp corners and surfaces, they must be low to prevent Achatina from hurting its leg or from falling and breaking the shell. For the same reason it’s better not to use the floor covering with pebbles. African giants are unpretentious. They will not “complain” if you forget to feed them or eat accidentally flown fly. most of all they like not bitter tree leaves and grass, raw fruits and vegetables: cucumbers, apples, carrots, cabbage, the zucchini pulp, spinach leaves, bananas, various berries. Cut them into small pieces and place them in the container. Food rich in calcium: cottage cheese, sour cream, egg shells and chalk. They like oat flakes, dry hard cookies, mushrooms and nuts. It’s prohibited to feed them with salty, fried and smoked products, they will provoke the death of a pet. It’s better to underfeed then overfeed. Make sure that there is a clean drinking water in the terrarium. Mature specimens are from 9 months to 1 year. From this moment they can reproduce every 3-4 months. The molluscs are hermaphrodites, they don’t need a partner for reproduction. if you put two females in one container, for example, this will increase the reproduction activity. The mollusc is laying in the ground a few dozen of eggs up to 5.5 mm in size. They resemble the chicken eggs in color and density of the shell. In 3 weeks, the snails are born. They should be immediately separated from their parents, otherwise the “parent” will destroy them. You can buy them on specialized Internet sites, in local pet stores or by announcements. It’s better to buy them in the pet store. You can protect yourself from swindlers in such a way, choose a snail, looking at it in live and you don’t injure the pet when transporting it. In addition to the benefits for appearance and health, you will get a good home friend. Especially if you’re a busy person. They can live without food for a week, they just fall asleep and will wait until you wake them up and feed. They don’t need big “houses” and a lot of money for accessories. They won’t bother you in the morning or spoil the furniture. You can relax watching them. It’s interesting to see when it will bathe, crawl on the hand or on the glass, you can try to “train” it. What are the disease of the snails? Broken shell, plaque, burns, organ loss, poisoning. Can a snail live without a shell? No. A shell is a "cover" and protection of the innards of the snail. Do the shell needs caring? You must wash the snail only with filtered water. Feed it with products which contain calcium: milk, cottage cheese, food chalk. 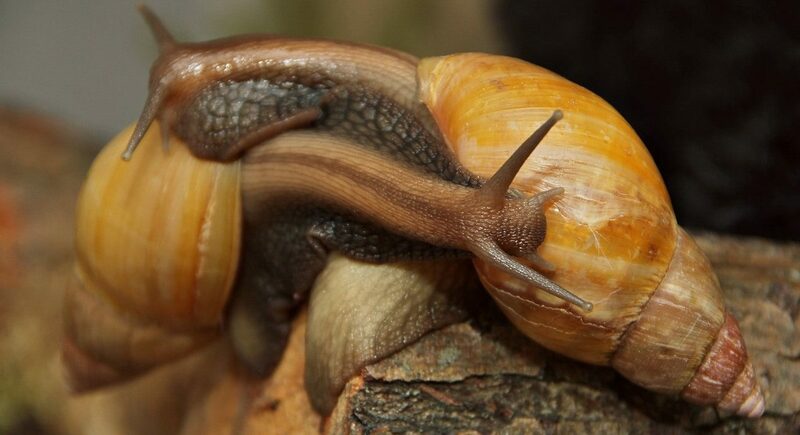 What to do if the Achatina snail doesn't move? It;s possible that it just fell asleep. Check whether it reacts to touch, whether it smells unpleasantly. If it doesn't react, there's an unpleasant smell - it's dead. What can harm the snails? If the snail lives in a terrarium, it can have "enemies": pot worms, soil mites, mycetophilas and drosophilas melanogaster. A giant African snail is the most convenient and profitable pet for modern people. They are very smart and have an individual character. The main thing – they are useful for health and appearance of the person. After analyzing the huge number of grateful reviews in the network, we can say that snail therapy is now very popular and effective because the results are quickly noticeable, the procedure is pleasant and natural. Even experts confirm that snail massage is an excellent replacement for expensive salon care.